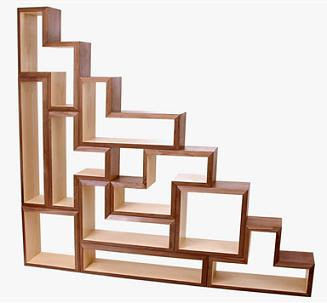 Aside from the fact that you'll spend your days and nights compulsively dreaming up new configurations, this Tetrad Mini Bookcase is a whole big bunch of fun. Somewhat prohibitively expensive at $300.00 a block, this is the perfect reason to befriend a carpenter. WOW! 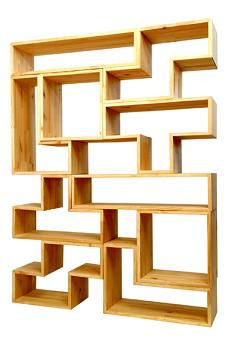 Super amazing tetris. I love this!!! I wish I have this kind of stuff. This looks so awesome. Thank you for sharing! These are expensive, but I would save up money for one of these babies. It's really wonderful yaar! But, if you go to India, carpenters do it easily and cheaply.